It’s no surprise that the 30 billion dollar industry of Automotive generates an annual pilgrimage to the convention center capital of the world. Some people may wince at the use of the word “pilgrimage” with its religious connotations. In general, industry needn’t be connected with religion, however at eGarage we believe in Automotive. We have faith that this industry will continue to be an integral part of our existence. We revere the passion that is constantly stoked with every new idea or perspective. These concepts are the foundations of any religion, and therefore we feel like the analogy is acceptable here. 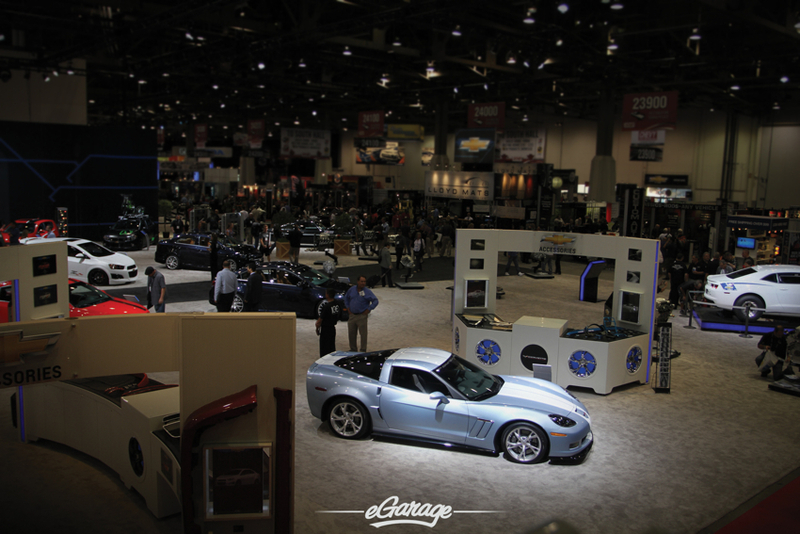 The Specialty Equipment Market Association (SEMA) Show is the “premier automotive specialty products trade event in the world”. Although it is not open to the public, we encourage everyone who is connected to the Automotive industry in some way, to join the 100,000+ people who make the pilgrimage every year. As with most everything in Las Vegas, this show is bigger than anything else you’ve ever seen, taking up 3.2 million square feet in the Las Vegas Convention Center. It’s staggeringly awesome but requires every last minute of 4 days to attempt to capture everything the show has to offer. What draws so many industry participants? How could a show started in 1963 by a small council of elders, grow into something so massive? This is the only place where titans of industry will walk the same floors as the small business owners. 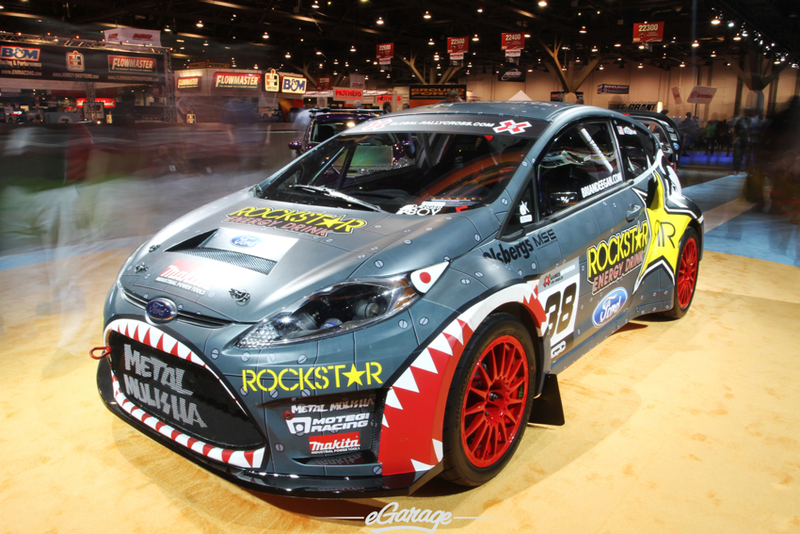 Here, the biggest names in the OEM and custom worlds come together to reveal one-off versions of their production models. 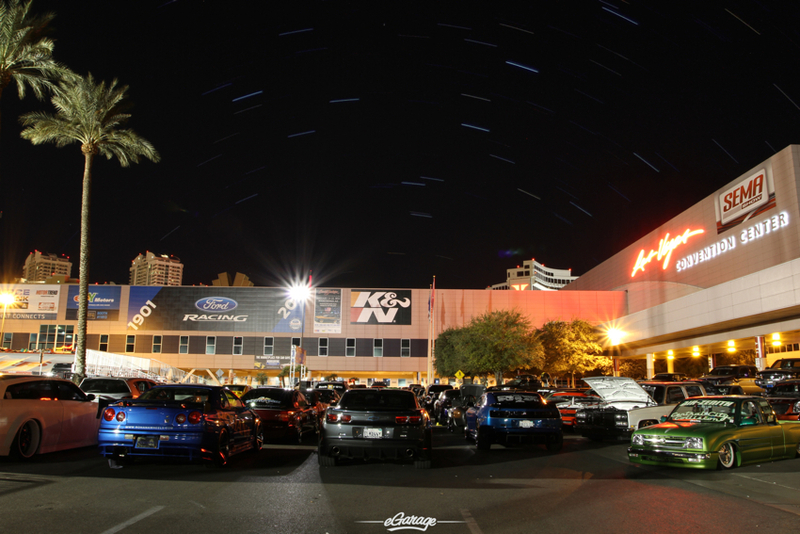 SEMA is the one show where countless small teams of builders, fabricators, and customizers from all over the world toil through the dark hours to hit the universal looming deadline of “when does the truck leave?”. 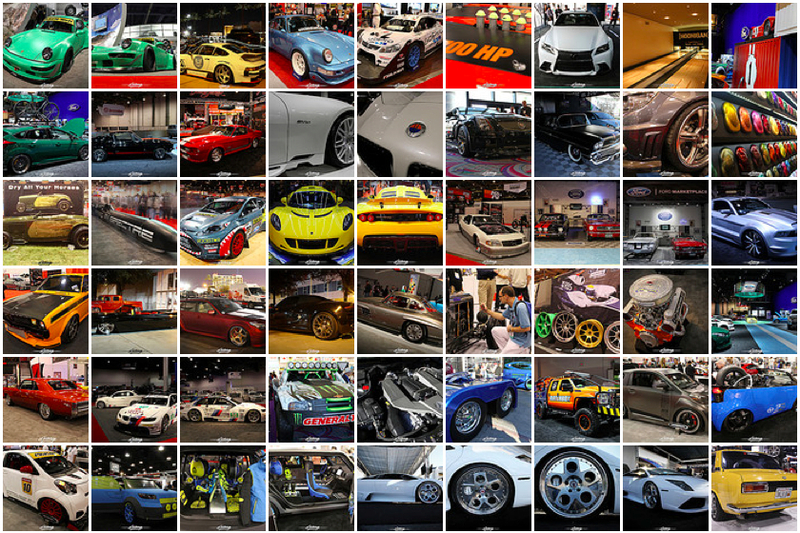 I only have perspective on the last 7-8 years as that’s how long I’ve been going but I can tell you that the SEMA Show is healthy, full of energy, and packed to the gills with hundreds of companies participating in this Automotive centric life. It’s reassuring to see the industry battling back and doing its part to not participate in the recession. Not only will you find the latest products here along with the wildest builds, but there are numerous educational seminars, and crucial networking opportunities that are worth the toll that 20 miles in 3 days takes on your feet. It’s a chance to reconnect with friends and partners, to get inspired by peers, learn trade secrets, catch up on trends or maybe even create new ones. 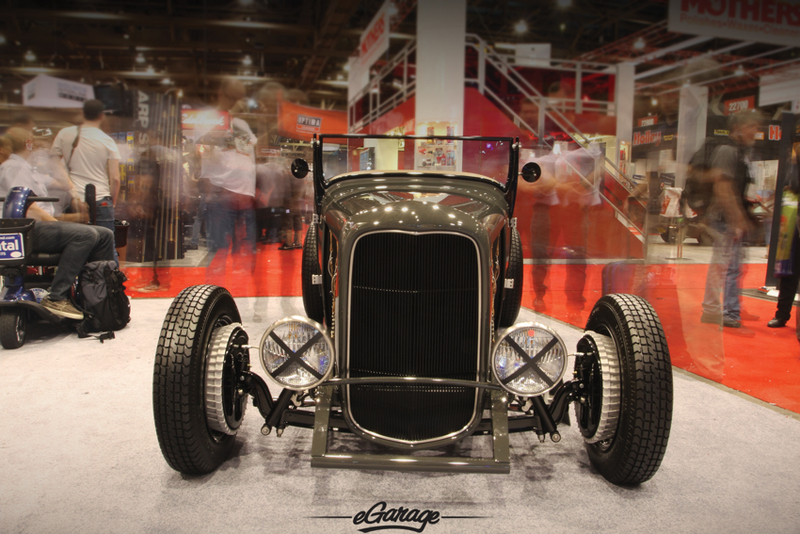 eGarage had the honor of being invited to unveil its latest creation, the ’27 “unfvckwithable” Roadster custom built with the help of B&M and Flowmaster, at this year’s show. Rolled inside under the cover of night and kept concealed up until the last minute, the show was abuzz with speculations about what may lie under the inconspicuous outdoor car cover. After the flicker of flashbulbs faded and the microphones were turned off, after many have had their chance to examine the soul”full” details executed for eG co-founder Nic Jimenez, we can now say that the build and unveiling was a great success. You can read more on the Roadster from our media affiliates at Stanceworks and see the short video here. Along with unveiling Nic’s car, we always look forward to SEMA to establish new connections as well as nurture existing relationships. 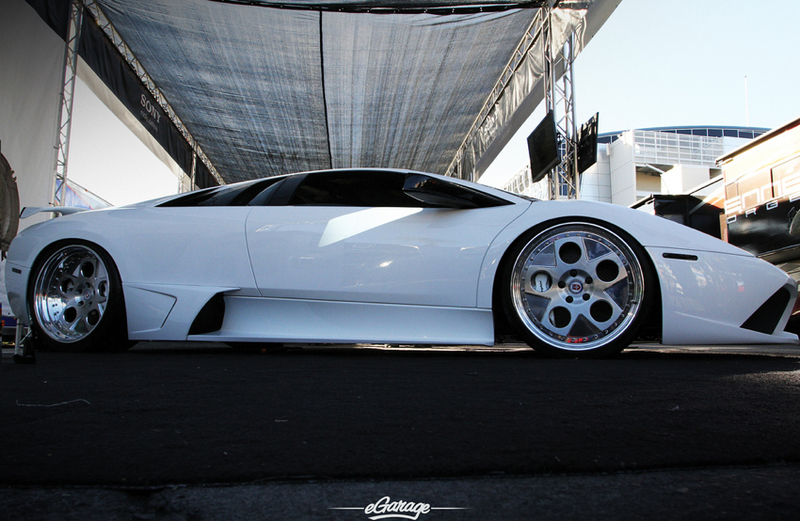 We visited with HRE Wheels and marveled at the reach their wheels had throughout the show. From vintage to exotic to production, the folks at HRE maintained a prominent position this year and showed off their re-design of the 454 wheel. Nakai-San’s RWB creations repeatedly stopped us dead in our tracks as we found ourselves drawn back with new friends, “Have you seen the RWB cars?” Yes, we have, but we’re happy to go see them again. And we were most spoiled by our airport shuttle and nighttime transportation in the form of a Bentley Flying Spur from our sponsor David at Cavallino Jewelers. As this was our first opportunity since the launch to hear industry peoples’ thoughts on the eGarage.com site, we were eager to absorb feedback from those we trust and respect. We’re thrilled to hear things like, “I’ve heard of this eGarage thing before” and honored when we hear, “I like what you guys are doing, it’s different”. eGarage came about because of the desire to highlight the humanity and creativity behind this industry. 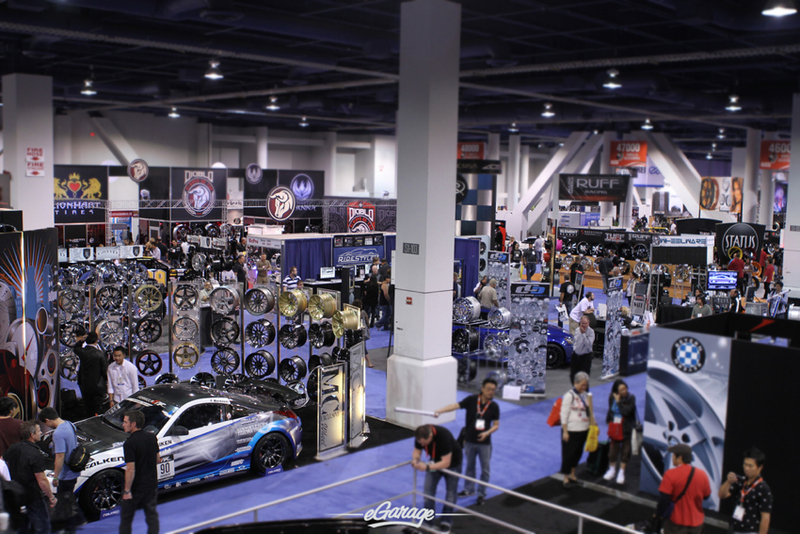 The passionate person will look at the thousands of gorgeous vehicles present at the SEMA Show and see the tens of thousands of people who bled, sweat, and drank a lot of coffee to get those cars to the convention center. With every fascinating build lies a potential story and every handshake can lead down an exciting path of discovery. When we think about the endless content available in the industry at the present, we smile…and, although there’s always room to evolve and grow, we know we’re in the right place. 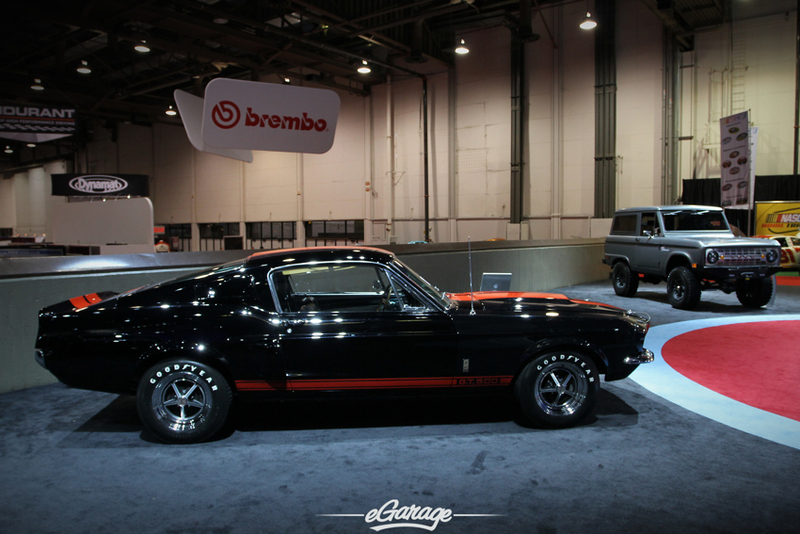 An industry with as many stories and as much soul as Automotive deserves a show like SEMA and we’d encourage each and every one of you to add the annual pilgrimage to your “must see” list.